"This hurts my heart in a weird way. I am now almost positive that Maldek was the planet I dreamed of so many years ago." "Hey there Eko! Like Morell said, I don't think there's a specific timeline/date in mind for spiritual growth and change of the planet, or human beings as a collective. I like to think that, in the wake of so many things that have…"
"Hello Ay'ashanna, thank you for the warm welcome." "Interesting that you dreamt that about that planet coming closer to earth, it tells me you are a elder soul also to be here on earth to see that happening,plus the fact that it was huge larger than the moon is a wonderful visual description.I can…"
"My soul is screaming, my heart is weeping, and my body is sick for the tragedy in New Zealand." "Sorry Ay'ashanna it appears I've opened up some deeper interest in my home planet & info by a few members here in sharing info with you openly,I'm just addressing the comment from Tara here.. @Tara:- There are still quite a few of…"
"Thank you for coming here to Earth. It’s beautiful, you remember home. Love, Tara"
"I'm a real true Starseed Blue Eckatic Crystalline Indigo,. [ there are many fake ones out there ]..I am first spark into creation to be honest,considered an olde soul,trapped in a young body a over soul and walk-in traveler...seen also by many…"
I have been working with Fae and Nature Spirit energy since I was a very young child. I have been called many things, but my NAME is Ay'ashanna el Iriel o-Nibiru Therin Oaksong. 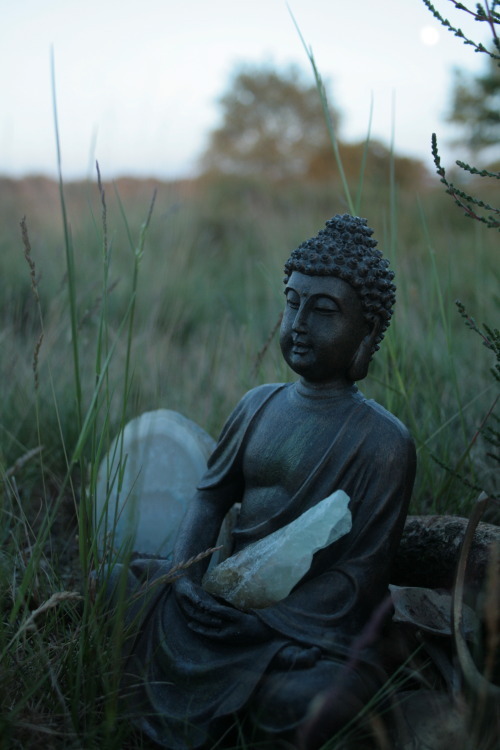 While deep in meditative healing work, I was blessed with the gift of Sacred Tree Reiki by the Mother Earth; I saw her face and received my mission to be here in this incarnation as an Earth Healer. When we remember our Mother's love, we are abhorred by the idea of all that defaces Her. This healing is for everyone and the planet itself. Hello Ay'ashanna, thank you for the warm welcome. Interesting that you dreamt that about that planet coming closer to earth, it tells me you are a elder soul also to be here on earth to see that happening,plus the fact that it was huge larger than the moon is a wonderful visual description.I can envisage it looking something similar to this image below but a different planet looking much like earth with a cloaking shield over its whole atmosphere as Maldek was in a 13th dimensional plane of existence we were more advanced in things like that,but still kept nature first at hand...it was very much like earth is actually,that's why it was called the 'first world into creation'..it was formed from a throw away dust towards Sirius bound.. by the contracting nature of nature but solidified with 184% more iron,almost like diamond core,...considered as dark matter, dark energy on Orions belt..here's little bits of info of interest for you from higher consciousness & earth reality.. Elven DNA & characteristic's actually came via Venus's Gold planet & portions of Maldeks core is known as Moldavite and still holds much of our energy forces within it,it sings to humans..so when that huge cataclysmic meteorite came down in Nördlinger Ries Crater it left behind portions as a melted form much like glass, also it blew out over Libyan Desert as well and is known as Egyptian Libyan Desert Glass ..and was prized by the Egyptian pharaohs as they knew its healing energy and where it originally came from,so made their adornments from it. 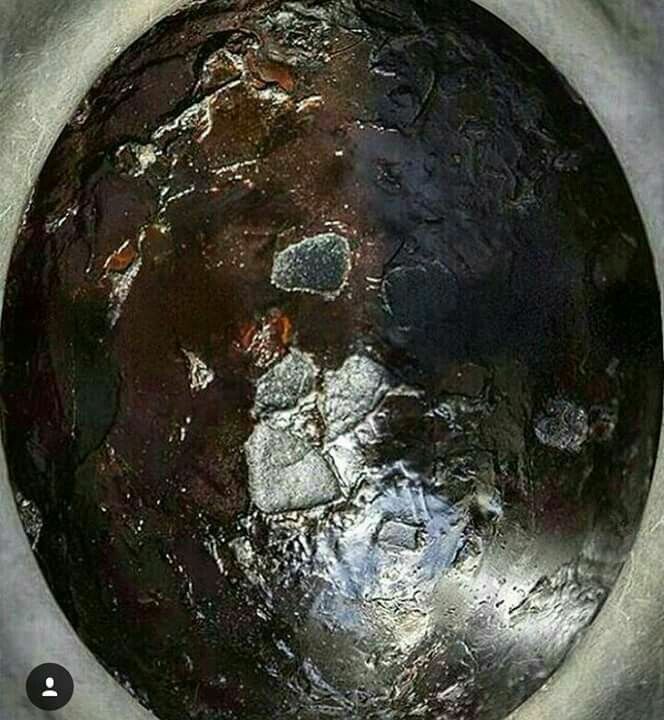 Also the 'The Black Stone' of Mecca seen through a portal in the Kaaba is also a portion of Maldek and pilgramage's are done via the Islamic tradition belief to go kiss it..as they believe it came from the time of Adam & Eve and the beginning of time on Pangaea which in effect is kinda truths..maybe not the Adam & Eve bit but the time span back in millenniums. 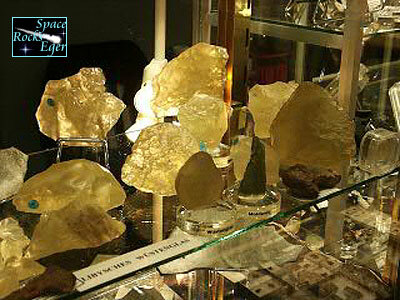 Libyan glass portions of Maldek.. Sorry Ay'ashanna it appears I've opened up some deeper interest in my home planet & info by a few members here in sharing info with you openly,I'm just addressing the comment from Tara here..
@Tara:- There are still quite a few of us who remember what happened to our planet,those deep pains will never leave our souls, same with those from Atlantis & Lemuria who also were from Maldek and the continuing cataclysms they were put through also lost within them,especially those who saw Maldeks full destruction,my cosmic twin soul brother was in command of a light ship that was destroyed by nuclear weaponry,the Sirian ships opened fire on Mintaken ships surrounding Maldek so in effect it was the Sirians who helped destroy Maldek with nuclear weaponry in retaliation for the Mintakens bombing Sirius B. ..which the Mintaken Draconians had done prior [this all sounds like a re-inactment scene from the movie 'Star Wars' dosn't it,but we are talking ancient craft here not fantasy realm movie world] & the Pleiadian ships were healing ships they came to the rescue & took both my brother & I and many other souls onboard and put us all in healing chambers.. we were both badly radiation burned. Each soul will have differing memory portions of what occurred that's only natural ..but many have said similar things too,one that got me was that Maldek represented “Unconditional Truth,” and in her shattering, the truth of our solar system was lost within it. In the shattering of Maldek, a solar unconscious was born, and our entire solar system went into polarity,which I totally agree with as thus all humanoid beings dropped into a amnesia state within this planets 3D reality and this allowed control structures to take hold & false religions to confuse people even more..and that's why I've always said ..how can you remember something you were forced to forget..it was all suppose to be forgotten so no blame for the actions & weapons used could be recreated again..and why our offworld ancient races watch this planet for nuclear progress now and have even intervened nuclear missiles and disarmed them..history always repeats itself but we dont want another planet destroyed by nuclear weaponry it was scary enough with Hiroshima catastrophy fortunately it wasnt enough to destroy a planet back then.. but it could have been and can be now-a-days with our advancements.. I'm a real true Starseed Blue Eckatic Crystalline Indigo,. [ there are many fake ones out there ]..I am first spark into creation to be honest,considered an olde soul,trapped in a young body a over soul and walk-in traveler...seen also by many as very magical,a mystic conduit being from a realm of perpetual awesome goodness or in laymen's terms your good drug for the mind lol..a planter of thought seeds,poet,writer & artist it's because I'm an awesome being from a land of perpetual feelgood vibes & that I distribute those good vibes I was taught onto all who need it,hahaha..yup No Religion is required,we didn't have religions on our planet only soul unity.. I Am guided by this power of abundance, I Am a holder soul galactic activation portal cartesian cordinate vecta codes, a secret keeper,three gates of five are opened by my mind..Vision Creates Mind..Blue Transforms it - Polar Earth Family - Sky Clan. I Am also guided & protected through cosmic space dimensions,the galaxy pulses with my luminous thoughts & by the power of vision I slip easily through the multi-dimensions to foretell the coming of the shifting times,through parallel universes I fly on a single zuvuya track,vision is the source of my intelligence that sustain's the planetary whole to all who wish to seek,If you walk a path with me,one shall see within my mind is the power of universal mind in its eternal creativity. My cosmic soul star name is Arktuis Mektah Aunhuiln ..I have two soul Elder Guardians,they are my light scepters,who have been with me all my life times incarnated not only on this planet but others,they are Etherical therefore immaterial to this world,Elou & Meityr are their names,they were chosen for me by my cosmic father Archeut Ananuel 13th dimension creator seal from the Mavrud Maldekian Council of Universal Creations when I was first thought into creation,this was the instant cosmic imagination that my memory began within my cosmic father & mother on Maldek,my cosmic mother she was Venusian,my father was Martian Lineage..hard to believe a human can hold so much information your thinking,but look up planet Maldek you will get all differing versions on its destruction by other pained souls..I speak fluent Maldekian but have only found a few in my reality who can return it back to me..as it is not a recorded language and is based more on frequencies..let pages unfold naturally a path be shown or given. yes? -"My Planets culture & my language are the way from our pasts,from it we embrace the present,& follow the road to the future"
dei se..lakmu ahk te em ..te moi myself shared..elekei pekre ne ...embrace together not seperate....tulu em shakei el u et moi nei..chatel ei tama kal..shelei akha see me and share..so in other words 'connection'.. ameh'akta tulu em shakal.. lei te moi.. In Maldekian the word moi is meanig energy infused 'love in its fullest' you know that aye.. so when its said at the end of sentence its kinda like saying I love you in each breath sealing it..so if I said: Em shakal te kalu te sei moi.. its like in energy saying I'm with you forever sealing it with a love essence.. Damn Ning keeps cutting my comment up in bits..lol I keep trying..might have to divide it up..
And please feel free to add your Love & Wisdom to our group through your own posts that help uplift us all.